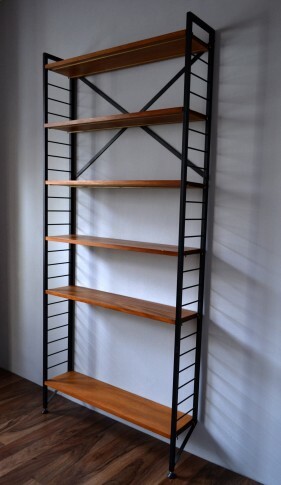 Stylish, flexible and functional the classic ‘Ladderax’ mid century shelving system. 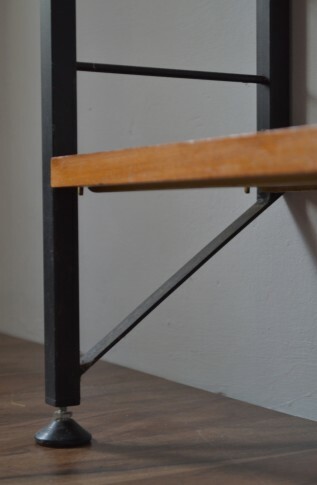 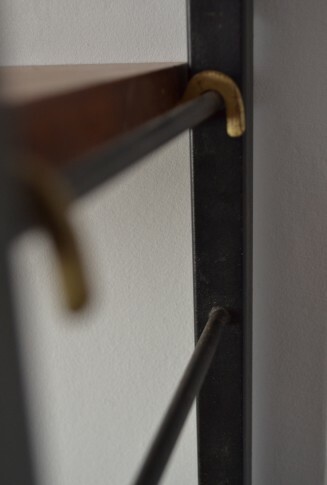 Black steel uprights allow the teak shelves to be positioned wherever required. 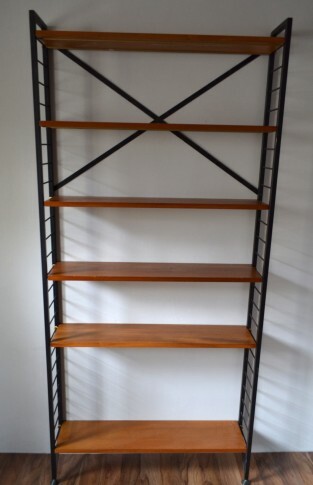 Six shelves, two ladder uprights with cross supports. 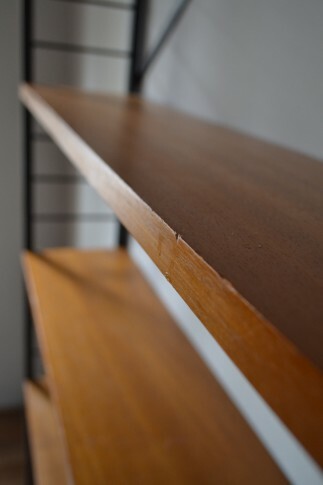 Vintage condition with some signs of wear to shelves – please refer to images.